Single Sign-On or SSO solutions gives seamless user access to cloud-based applications, thus making it quick, easy and convenient for the IT users. Whenever any user logs in, either to his/her work machine or some web portal per se, he/she does not need to separately log into them else for the entire length of his online visit. This even helps in the reduction of the no. of stray passwords in any organization, which can help in increasing the security considerations, and mitigating age-long security-harming practices like writing passwords on sticky notes over office desks etc. this even lessens the burden on the IT teams in regard to the number of passwords reset incidences. SSO become all the more powerful when combined with IM or Identity Management. SSO and IM together can totally change the way organizations implement as well as manage their own software. Internet has seeped into school campuses and most educational institutions. After increased use of online teaching, teachers are now facing the ever-increasing problem of keeping up with such enormous number of logins for so many students. Such Instant Logins allow teachers and students to connect to most of the popular apps that are used in modern day schools by just a single sign-on or single login into the dashboard. 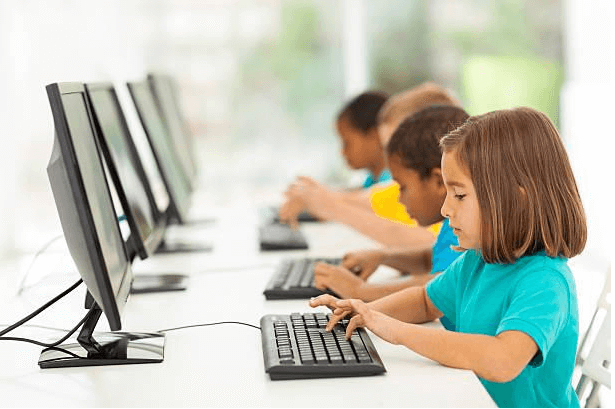 This service is great as it connects the sign on dashboard with multiple online educational software systems; thus removing the need for logging in multiple times for each and every student. With many digital as well as web learning solutions growing in the education segment, it is not any surprise that the requirements for increasing usernames as well as passwords are growing at an alarming rate. All applications or learning resources come with their own login instructions. Some passwords may need capital letters and also special characters. Other passwords may require numbers etc. Also, most logins are usually case sensitive. So, that means that in classrooms, teachers would spend more time than it is required to help students get logged into their systems with their login credentials or reset their login passwords. Even if most students manage by keeping their info simple and straight, then also it is still difficult to log in to all these applications separately. This would take time, which can be very daunting. Many CASB vendors like CloudCodes are providing single sign-on SSO solutions cloud security much easier for educational professionals, who are tasked with identity and access management. Hence, this is going to ensure that only the right people are having proper access to the right online software, web tools and digital apps. SSO solutions can have a really transitional effect on IT as it eliminated the need for the IT staff to manually onboard any new software or to manage any of the associated processes. Thus, it becomes a sort of burden for the 3rd-party providers of IAM and SSO solutions. Educational institutes do not need to worry now about any compatibility issues or long projects for adopting any new software. Whenever any new software is needed, it just needs to be communicated to the 3rd-party SSO and IAM vendor to support them with it, and institutes do not need any legwork of that integration. Yet another major benefit that educational organizations avail is with user-level lifecycle management. For example, when any student or user moves from Under Graduation to Post Graduation, such system cuts off the access to previous set of applications and gives him or her another set, which is seamless as well as quick at the same time. Also, when any students or users leave the institution, such identity systems quickly, and needless to mention, automatically remove them from particular applications. This ensures greater cloud security.